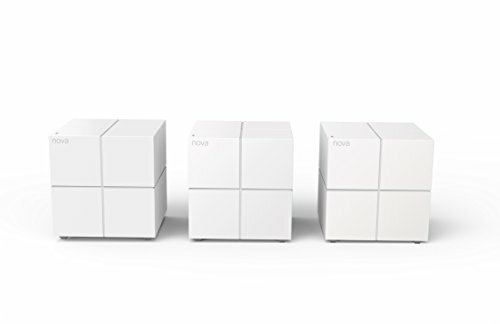 ANOTHER MONTH, ANOTHER wireless mesh system, this time from Tenda, a relatively little-known router manufacturer. What the company lacks in name recognition, however, it makes up for with a high-quality and reliable mesh system that shows some of its big-name rivals how it’s done. 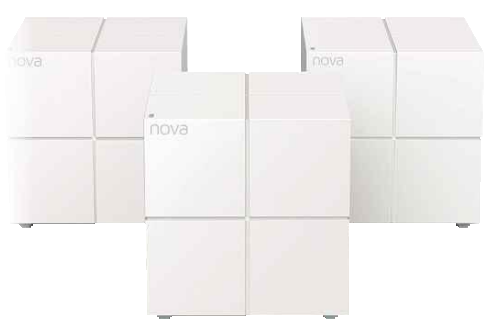 Read our Tenda Nova MW6 Review. 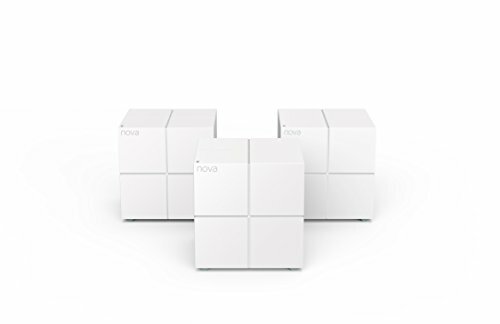 The Tenda Nova MW6 ships with a three-pack of satellites, each one a neat cube that you can tuck neatly out of the way. 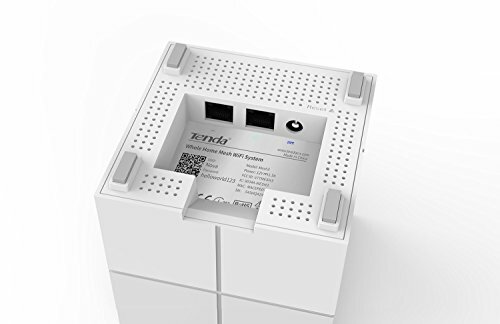 With all three, Tenda claims that the system is capable of giving you 6,000ft2 of coverage. In other words, that’s enough to cover most UK homes, even those with thick walls that usually don’t play nicely with wireless. As with other wireless systems, the MW6 has to have one satellite connected to your main network, using the dedicated WAN port. This can either be into your existing router, or you can replace your router entirely, as the MW6 supports PPPoE connections: you just need a router with an Ethernet port on it. If you can, it makes sense to replace your existing router with the MW6. If you don’t, then you end up using double Network Address Translation (NAT), once on the MW6 and once on your router. In effect, you’ll have two networks, which can confuse things. However, this is normal for most mesh networks bar the BT Whole Home Wi-Fi kit. The downside of using the Nova MW6 as your router is that you sacrifice wired Ethernet ports. The main unit leaves you just one spare Gigabit Ethernet port; the other two satellites give you two Gigabit Ethernet ports (the WAN port on the remaining satellites turns into a LAN port). As such, you may need to buy a Gigabit Ethernet switch. where you want them, and they connect automatically. Smartly, each satellite has an LED on top that flashes a different colour to show you signal strength. If you place one too far away, you can quickly see and move it. We had our system running in a matter of minutes, which is impressive. 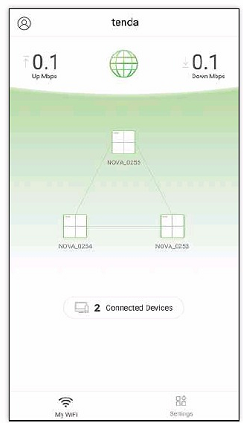 Once up and running, the app shows you how many devices are connected and the status of the network. There’s no control over the Wi-Fi settings, as the MW6 automatically selects the best channel to use. It also uses channel bonding, directing incoming devices to the best channel (which could be 2.4GHz or 5GHz, depending on speed or performance). Enabling Fast Roaming is a good idea for modern devices. With this option turned on, your wireless devices will more quickly switch the connection from one satellite to another as you move around. This helps you maintain a strong connection everywhere. Parental controls are built in, letting you group one person’s devices into a profile, where you can toggle internet access or set an access schedule. It’s a shame that parental controls don’t extend to website blocking. The app also gives you Port Forwarding control, a UPnP toggle and a firmware upgrade option and also lets you toggle on the guest wireless network, but that’s about it. 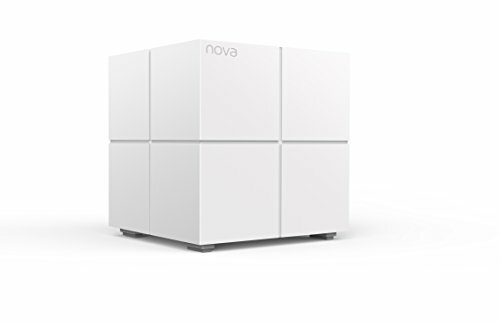 What’s really important with a mesh system is how well it performs, and the Nova MW6 didn’t let us down. The system uses dual-band 802.11ac, running at up to 300 Mbit/s on the 2.4GHz band and up to 867 Mbit/s on the 5GHz band, on which we tested it. At close range, we saw upload speeds of 254.05Mbit/s and download speeds of 434.19Mbit/s; on the first floor, we saw upload speeds of 220.15Mbit/s and download speeds of 378.91Mbit/s; on the second floor, we saw upload speeds of 14838 Mbit/s and download speeds of 333.07Mbit/s. 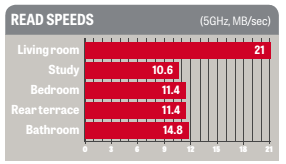 That puts the system a chunk ahead of our previous mesh speed winner, the TP-Link Deco M5. Outside, at the bottom of the garden, we still managed to find a throughput of 69.79Mbit/s. That is very quick, although the BT Whole Home Wi-Fi system managed slightly faster throughputs at the same range. Ultimately, the choice comes down to what you want to achieve and how much you’re happy to spend. For a three-pack, the Tenda Nova MW6 is excellent value. Its simplicity and ability to replace an existing router make it an enticing choice. 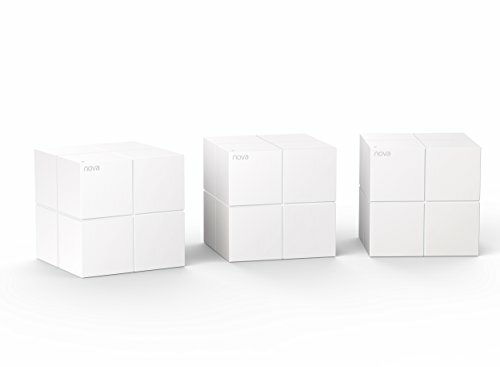 The main competition is the BT Whole Home Wi-Fi kit. This is slightly more expensive for a three-pack, but also comes in a cheaper two-pack option, which might suit smaller properties. Its main advantage is that it integrates nicely with existing routers, which makes it a better choice for anyone that doesn’t want to swap their main router.